My favourite of all time (I think I read 2 or 3 times), just because is my favourite doesn't mean I'm saying is the best (because saying best or worst is extremely subjective), please don't mix. It's adaptation in anime, specially the dubbed version make the series very underrated, despite the very beautiful original story drawn and written in the mangá by Kazuki Takahashi with well-rounded characters, amazing development in many characters, specially some of the main characters, the ones who move the story along. My one of favourites for sure, because it's a very good story and also all the characters all well-rounded, it's one of those stories with very good well-rounded and strong females characters which is a treat (since it's rare to happen in shounen specially), between my most favourite female character is there, they also have an excellent anime adaptation, Fullmetal Alchemist: Brotherhood (which by the way is rare to happen to come a good adaptation of a manga in anime). Okay, this one I can confirm you to have read 3 times, both crying each time, we could say is one of my favourite shoujo mangas together with Shugo Chara, funny enough, in this shoujo, the romance isn't the centre of the plot at all, it's about the characters, the ones that the main character has bonds and meets, it's essentially a drama, slice of life and comedy literally, the concept of the manga it's the centre of the plot and how it affects her and the secondary and supporting characters, all the characters have amazing depth. It strongly affected me personally, emotionally and idealistically, very thoughtful, the same applies for the characters, even though the manga is from the 90's, no matter how many years pass, it's still a very good manga and story. 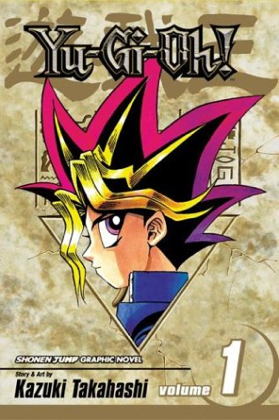 This is not exactly in order, except for Yu-Gi-Oh!, but I assure it's in my Top 4, it's funny is more shounen than shoujo, I guess it's because shoujo has tendencies to be repetitive, since it's usually the romance the centre of the plot making it repetitive (there is exceptions though), action, drama and comedy mangas, it can be more versatile and take different shapes and pathways, it's better the romance being a sub-plot instead of main plot.